DSTRYRsg: Destroyer Submission Grappling and Brazilian Jiu Jitsu: UFC 124: TWO AMAZING SUBMISSIONS MADE THE NIGHT! 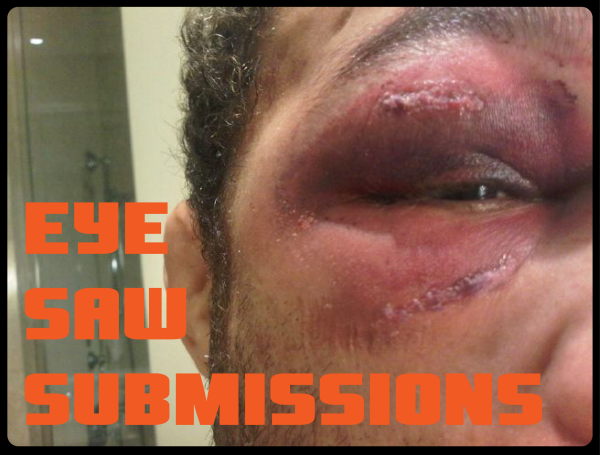 UFC 124: TWO AMAZING SUBMISSIONS MADE THE NIGHT! Mark Bocek's Mounted Triangle Versus Dustin Hazelett . Bocek is a legit BJJ black belt and he showed that Saturday night. The triangle set up from the mounted position is what I'd consider a pretty "boutique," sophisticated finish within the world of BJJ/submission grappling. It's rare, to say the least, in MMA. As soon as Bocek took the mount in minute 2 of Round 1, he attempted and achieved the triangle catch on the unsuspecting Hazelett (a BJJ black belt in his own right) and the rest was academic. Amazing!! Sidenote: Looked like he actually finished Dustin with a kimura-type submission on the right arm (which was locked in the triangle). Brilliant. Jim Miller's Knee Bar Versus Charles Oliveira. Another battle between two BJJ black belts that totally lived up our expectations. This short match was packed with great jiu jitsu. Early in Round 1, from the guard position, Miller turned Oliveira's busted armbar attempt into a toe-hold. Oliveira, instead of defending, threw some ineffective punches, allowing to Miller switch to knee bar. It was over at 1:59 of Round 1. Textbook, super tight knee bar. Ha - I like Bocek's cheesy grin (presumably augmented by the gum shield) in the midst of subbing Hazelett.